Colombia: Is the orange economy the solution? We've heard a lot about it during the course of this year of campaigning and presidential ownership, but what is it? What good does it bring? Will it be enough? During his presidential campaign, the now president Iván Duque referred repeatedly to the orange economy as a way to grow the Colombian national economy. What does it mean? The president defines the orange economy as " the set of activities that in a directed manner allow ideas to be transformed into cultural goods and services, whose value is determined by their content of intellectual property." 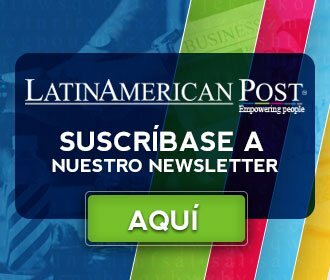 Leer en español: Colombia ¿Es la economía naranja la solución? Thus, the orange economy would be an economy of ideas, which, when converted into goods, can have a specific value and a significant income to the country. This is why the orange economy is composed "by areas related to the cultural economy and the creative industries, at the intersection of which are the conventional cultural industries and the support areas for creativity", in the words of Duque, quoted by the newspaper The Republic. In this way, our culture could, in a certain sense, be consumed. Cinema, music, dance, and fashion could then be the basis of our economy. Undoubtedly, the international market has its eyes on Latin American culture, which has become the target of consumers and investors. 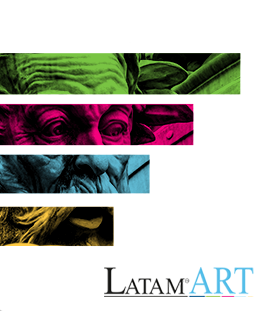 In Latin America, creative economies moved around 200,000 million dollars last year, according to figures from La República. According to El Espectador, the orange economy generates around 3.3% of GDP (Gross Domestic Product) in Colombia and employs 30 million people in the world. With these figures, it could be thought that the potential of the orange economy is undeniable. There are also examples of regions of the country in which creative projects have been implemented that generate income for the region. That is the case of San Andrés and the initiative 'Backstage to the future: Caribbean', which encourages the study of the ancestral knowledge of the islands and promotes its intangible heritage. It is also the case of Delirio, salsa and circus academy in Cali for which, according to its founder Andrea Buenaventura for the newspaper El Tiempo, 690 people work in just the production part. Another example of orange economy projects is Artesanías de Colombia, which is at the head of Expoartesanías, a fair that in its latest version sold close to five million dollars. All this seems very promising, but is it enough? According to El Espectador, the president promised that "based on cultural industries, the country's GDP will double by 2025." How does he intend to do it? The first step was the implementation of the orange law when he was still a senator. According to El Tiempo, this law "promotes a policy of incentives and financing facilities for creative and cultural producers." However, according to the Ministry of Culture, the orange economy generates an impact of only 1.5% on the national economy. This figure is not negligible, but neither is it sufficient to affirm that it will be the basis of the economy and that it will double GDP in less than ten years, as the president already said. The orange law, moreover, has not been put into execution, as there are still no protocols to administer funding to cultural actors. On the other hand, although cultural industries, which, as Duque said, transform ideas into goods, are not composed only of ideas. Musical collectives such as Delirio, for example, require the manufacture of typical dresses. This, on the one hand, generates more jobs. On the other hand, maquilas do not necessarily belong to the creative industry, since they are more of the textile industry, so they would not be benefited by initiatives such as the orange law. In this way, it would be necessary to study which sectors would really benefit from the concentration of the government in the orange economy. The textile industry, for example, which generates much more impact on the national economy, would not be receiving any benefit. President Duque also says that the government is committed to "boost the orange economy so that our actors, artists, producers, musicians, designers, publicists, jewelers, playwrights, photographers, and digital animators conquer markets, improve their income, undertake Successfully position your talent and attract the eyes of the world. " It can be seen in this speech that the support is inclined to the professional fields only, in a country in which, according to figures from the Ministry of Education, only 7.5% of the population reaches the level of professional education. Thus, government support would be directed to a very small population that has the capital to undertake. These cultural ventures would generate many jobs, of course. But the economic support would not go then to the artisan, but to the institution for which he works. With all this, we do not mean that the development of the creative industries should not be promoted since they are undoubtedly a sector that has attracted the attention of investors and that have made their way even before the existence of the orange law. However, although the potential of the orange economy is undeniable, the future of the country's economy cannot be trusted. Although it is an industry that is growing little by little and that the government should support and pay attention to, its impact is not enough to mean the solution to the country's economic problems. Colombia must still invest in manufacturing and industrial development, which represent a large part of the economy, and only by the hand of these, can the orange economy take a leap and take the national economy forward.